Blonde hair have tough life, especially when their owners regularly lighten them. Hair subjected to frequent treatments, after awhile gain bad condition. They are dry and brittle, difficult in stylisation, their ends are damaged and prone to splitting. It happens that along with hair damage also changes their colour: can become yellowish, and the hair that were supposed to amaze with gloss, become matte and lifeless. The rescue to blonde hair can be exceptional, created exclusively for light hair oil Sheer Blonde developed by John Frieda brand. It is supposed to restore elasticity, gloss and emphasise blonde colour, but also regenerate and moisturise damaged by lightening hair. Sheer Blonde Oil contains high concentration of sunflower and argan oil. 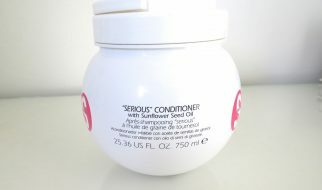 What is more, it was enriched with ingredient for protection of strands against high temperatures. Sunflower seed oil Sheer Blonde protects blonde hair against colour loss and emphasises golden highlights. After first application is visible its action: glossy, bouncy and soft hair. Hair are protected against high temperatures, are easier to style and look healthier. 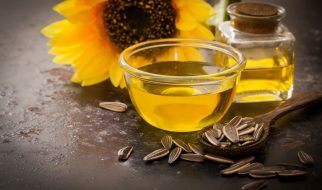 It all is a merit of sunflower oil, which due to high content of polyunsaturated fatty acids protects even high porosity hair deprived of shine, vitality and moisture. Sunflower seed oil prevents frizzing and fly-away hair. It perfectly moisturises strands and smoothers making them soft and silky. In duet with sunflower oil is argan oil with protecting properties against all sorts of damages (both mechanical involving blow dryer or straightener, and atmospheric involving freeze, strong wind or sun). Sunflower oil Sheer Blone can be applied on damp hair right after hair wash, or during the day on dry hair. It will work great also as a protective serum for the hair ends. Sunflower oil Copyright © 2019.